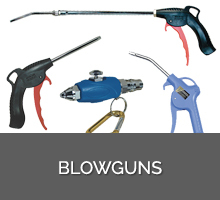 ATP introduces a comprehensive range of blow-guns for industry. Click on a link below for more information. If your application requires a blowgun not shown below then please Contact Us.